The Gardens of Castle Rock | GARDENS ORIGINALS™ : Making the Unique Even More Unique! GARDENS ORIGINALS™: Making the Unique Even More Unique! Where you make your best day ever starts with the ability to create a truly unique event. The Gardens is making it easier than ever! 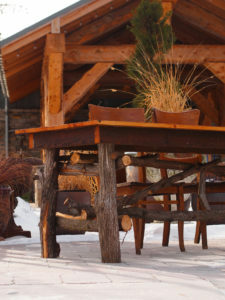 The Gardens Originals Rustic Refined™ Table in front of the timber framed Garden Pavilion. The Gardens Originals Rustic Refined™ Table and Chairs only available at The Gardens of Castle Rock. 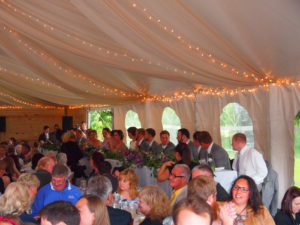 At Gardens of Castle Rock, we’re here to help you design a unique wedding ceremony which reflects who you are as a couple. The Cedar Garden Tables™ are breathtakingly beautiful. 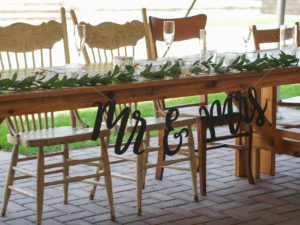 They are included in the Complete Wedding Rental Package and can make decorating your wedding a dream. We wanted to give you even more flexibility and control in styling your styling your wedding! From garden to rustic, vineyard to vintage and everything in between and beyond… Consider our Gardens Originals™, developed to give wedding couples extra options to make their wedding extra special and truly. 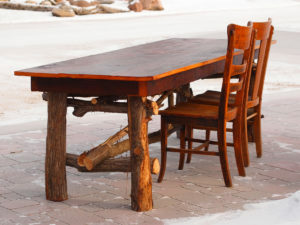 • Rustic Refined™ : Salvaged wood from an 1880’s grainery combined with hand harvest cedar tree limbs for the legs. A variety of antique weathered Oak Chairs compliment the tables. • Vintage Affair™ : Pinewood planking tabletops with turned legs painted and distressed with an elegant touch. Mixed and matched antique chairs blend beautifully with the tables. The Vintage Affair™ chairs paired with the Garden Cedar Tables at The Gardens of Castle Rock. • Napa Inspired™ : Thick boards of cedar finished in the Shou-Sugi-Ban method to create a compelling deep dark rich finish with cross brace legs. Paired with cross back wood chairs. 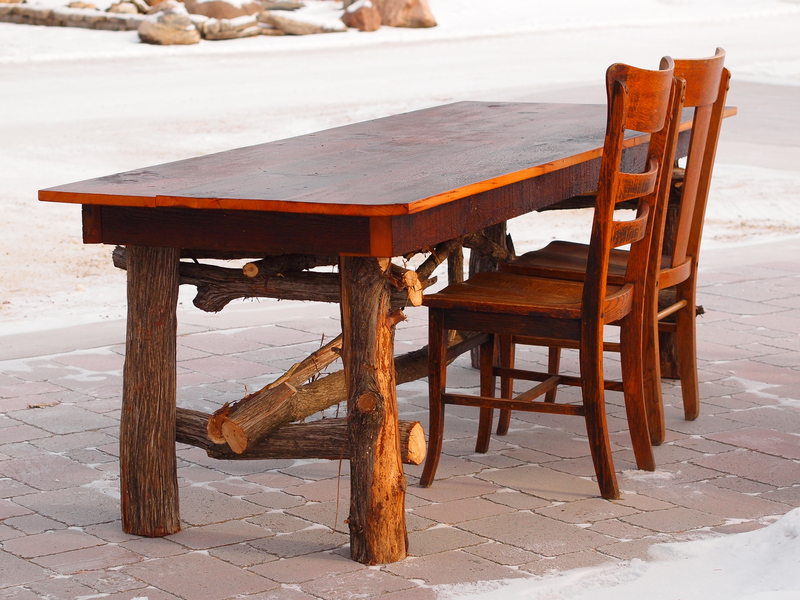 Each table is uniquely crafted in-house by The Gardens Founder Glenn Switzer and Woodworker Ben Finley of Duckhill Workshop. 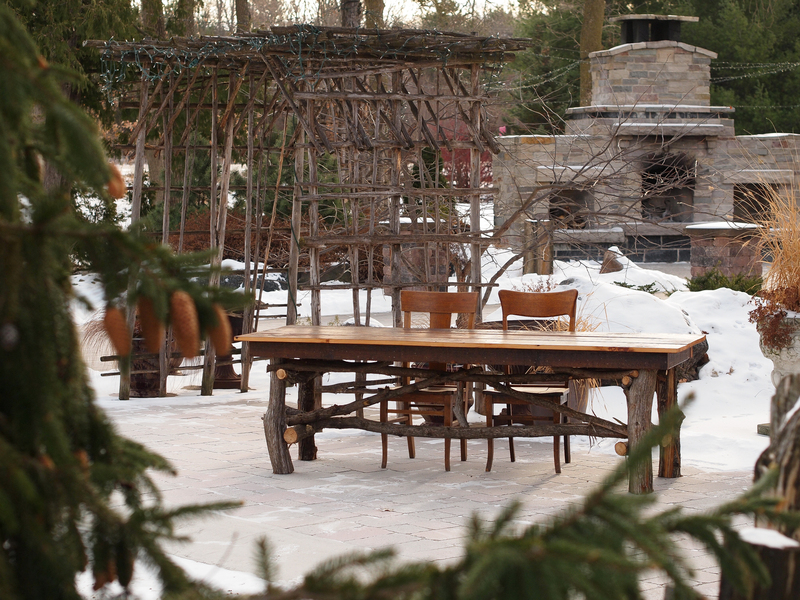 The Rustic Refined™ chairs paired with the Garden Cedar Tables at The Gardens of Castle Rock. 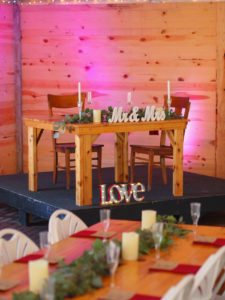 Packages include four eight-foot uniquely crafted tables and up to 20 chairs. 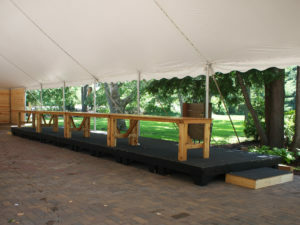 Selecting a Gardens Originals™ Head Table Package frees up all of the Cedar Garden Tables to be used for guest seating. 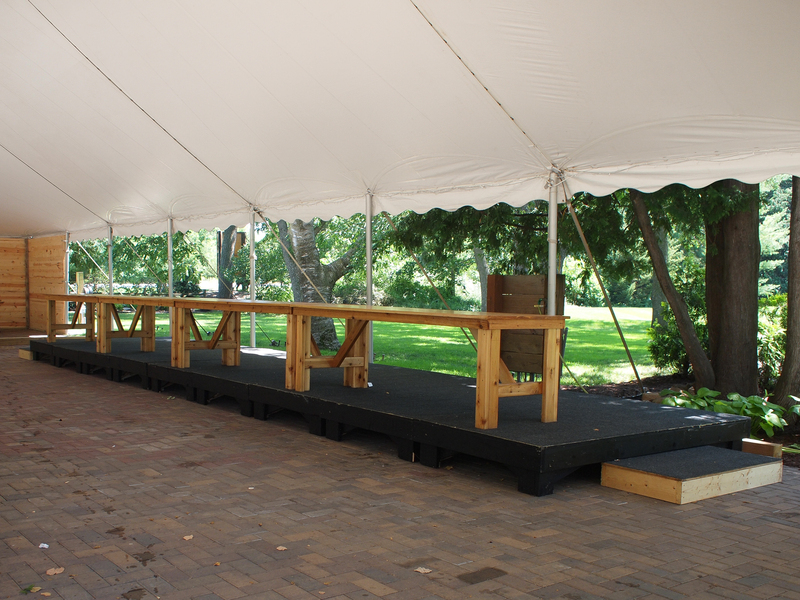 That translates into seating for 160 guests on 20 of our beautiful eight-foot cedar tables. 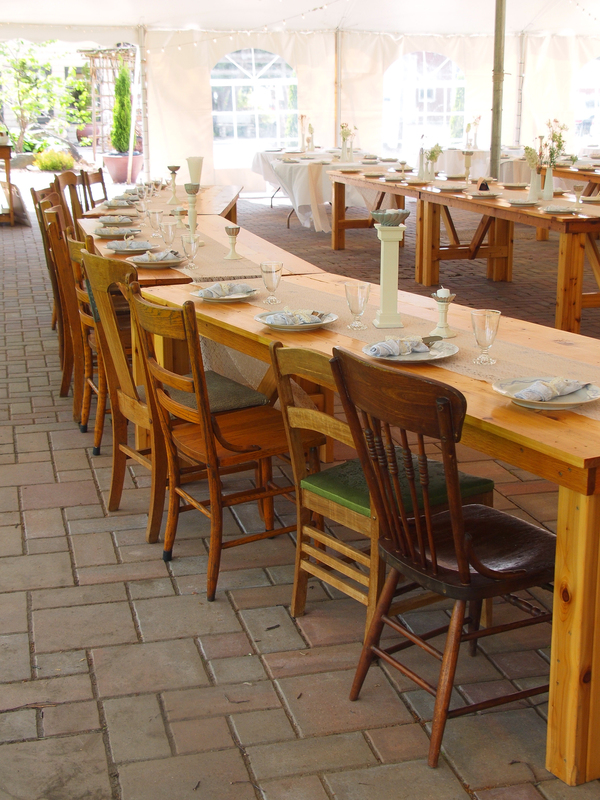 Each of The Cedar Gardens Tables™ seats eight guests. Many wedding parties dress these tables simply with a runner, to show off the warm, attractive natural wood grain of these gorgeous tables. 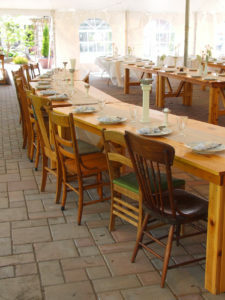 Wedding parties may mix and match Gardens Originals™ table and chair sets. 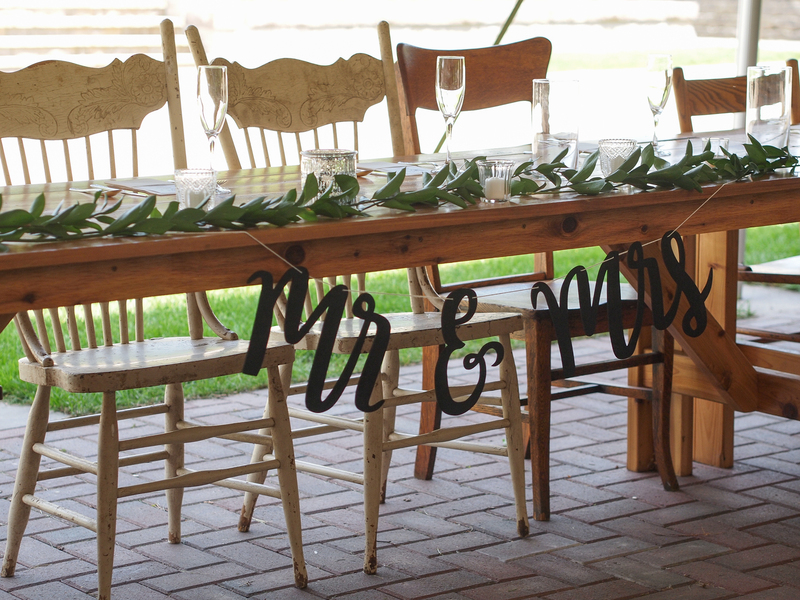 Only $299 to add a Gardens Originals™ Head Table Package for your wedding day. The Sweetheart Table and Rustic Refined™ chairs elevated up on the risers. Elevate your wedding party with risers. 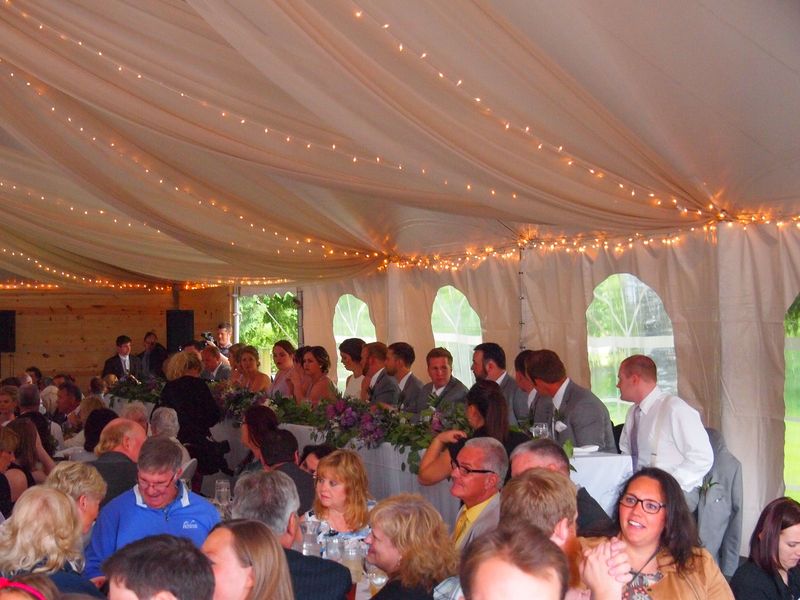 When the tent is full and your wedding party is looking good, let everyone see them! It makes the special moments like speeches that much better for everyone. Not to mention your photographer who can easily capture those tender moments. The risers and the Garden Cedar table before decorating begins. Our 12 inch high, 4-foot by 8-foot risers hold up to four eight-foot banquet tables, or Gardens Original™ Head Tables that can seat 16 members of the wedding party. Reserve as many as you like, for only $40 each. No two weddings are the same with Gardens Originals™. Create the wedding of your dreams with our special, custom-crafted tables, a unique option proudly offered at The Gardens of Castle Rock. We would love for see for yourself first hand the beauty of The Gardens Originals™! Schedule a tour to visit with us about making your wedding truly unique! Perfect for a full tent and a large wedding party.